The bounty of options available to search marketers continues to multiply. And yet with each new choice comes new responsibilities. Expanded Text Ads (ETAs) were just the beginning. Audience targeting, automated ad testing, and retargeting continue to evolve and promise higher conversions and ROI, but add complexity to the search marketer’s role at an equally dizzying rate. You’re devoted to staying up on the latest search marketing tactics and tools. You know the value of learning straight from the experts, including the people behind the ad platforms you use every day. 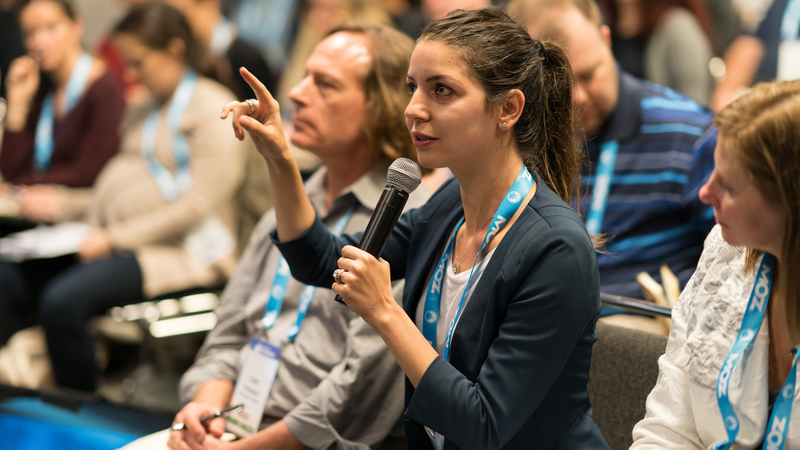 That’s why you should attend SMX® East. Join us October 24-25, 2018 in New York City for two full days of SEM and PPC sessions specifically designed for search marketers like you. Leave confident of your ability to leverage new formats for your search advertising campaigns. Major players, including Google AdWords and Bing Ads will be there to share firsthand advice on exactly what they’re looking for when it comes to outstanding ad campaigns. Together, we will dive deep into the areas of search marketing that matter most to you and your bottom line. With 20% market share, Bing offers many opportunities for advertisers to reach new markets. Hear what the Bing Ads team has been working on, what's in store for advertising opportunities on the platform and where Microsoft sees search headed. Ginny Marvin is Editor-in-Chief of Search Engine Land, Marketing Land and MarTech Today, overseeing the day to day editorial operations. Ginny also writes about paid search, paid social, display and video campaign, measurement and attribution trends across the publications. With more than 15 years of marketing experience, Ginny has held both in-house and agency management positions. 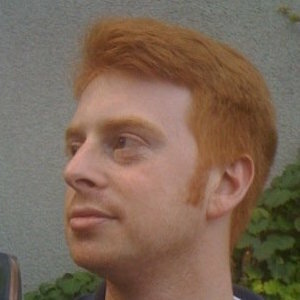 David Pann is the General Manager responsible for Microsoft’s Global Search Advertising Network. David and his team develop the Bing Network strategy, all forms of marketing and network monetization. David is also responsible for the data analytics and insights management teams that support the product and sales organizations. David’s team is also responsible for expanding the 3rd party Bing Ads publisher network, establishes and manages the Bing Ads technology partnerships and manages the business financial planning. David’s career in the computer software industry spans over 25 years at various private and publicly held technology companies. Prior to joining Microsoft David was at Yahoo where he was most recently the Vice President and GM of the North American Search Advertising Marketplace. 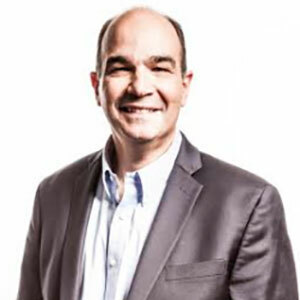 Prior to joining Yahoo!, David held several senior roles at NetIQ Corporation, a leading provider of comprehensive IT systems and security management solutions. This included a stint as Vice President and General Manager of the VoIP Business Unit, where he was responsible for the division’s products, marketing and strategic relationships. He also held the roles of Vice President of Strategic Alliances, and Vice President Product Marketing, Management and Business Development. 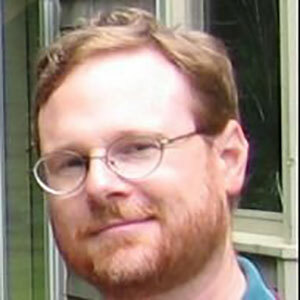 David began his online career at Netscape as the product manager for Netscape’s Windows NT web server. David has extensive experience across product management, product marketing, online advertising and monetization. 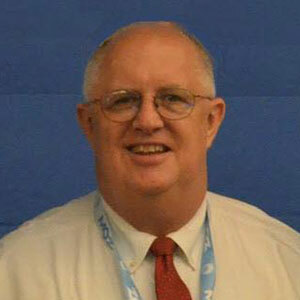 He received his degree in Computer Science and Business Administration from the University of Vermont. In today's challenging marketing world, the ability to align messaging across channels, segment your best performing audiences and create cohesive journey-mapping from awareness through sales is critical for success. It's especially challenging because getting it right means closely collaborating and coordinating with multiple departments and stakeholders. This session explores how to get in step with your customer (and your team) as they follow their own paths towards interest, engagement and conversion. Brad Geddes has been involved in PPC since 1998. He is a co-founder of AdAlysis, an ad testing & recommendation platform. 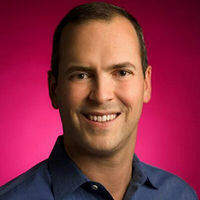 Brad is the author of Advanced Google AdWords, the most advanced book ever written about Google's advertising program. Brad has worked with companies who manage tens of thousands of small PPC accounts and other companies who spend millions on marketing each month. His experience ranges from owning his own agency, to managing a boutique agency, to overseeing programs that were official resellers of Google and Microsoft. Some brands he has worked with include: Amazon, Yahoo, Google, Thomson Reuters, YP.com, Encyclopedia Britannica, and Salesforce. One of his trademarks has been demystifying the complicated aspects of SEM. Not one to hold secrets, Brad prefers to educate his readers on the various aspects of crafting successful marketing campaigns to ensure the success for all parties involved. 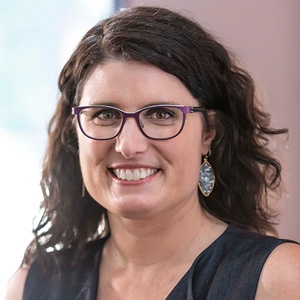 Amy has built and implemented multi-channel digital strategies for a variety of companies spanning several industry verticals from start-ups and small businesses to Fortune 500 and global organizations. 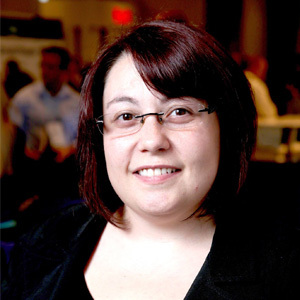 Her expertise includes e-commerce, lead generation, and localized site-to-store strategies. Amy is the owner of CultivativeMarketing.com. Heather is an entrepreneur, author, international speaker, & an ex-roller girl. She founded HDC Digital, a Phoenix-based digital & demand marketing agency revolutionizing the way companies think about and approach growth. 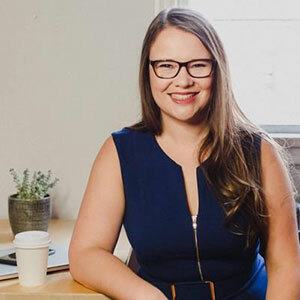 Over her career, Heather has served in digital marketing roles both in-house and agency-side, spanning the full funnel, across many verticals, both lead generation, and eCommerce. Credits include The Smithsonian, UGG Australia, Teva, Google, PapaJohns, ISOTONER, Totes, ESET, PetSmart, Infusionsoft, and numerous others. It used to be that you'd come up with a list of keywords, and some targeting and launch your campaign. Not any more. In this session, we'll show you how to get the most out of all your targeting options right from the start -- keywords and match-types, bids, devices, locations, audiences, ad copy and more -- by leveraging them all together for maximum impact on ad spend and conversion. Matt Van Wagner is a seasoned sales and marketing professional specializing in paid and local search engine marketing strategies for small and medium-sized companies in the United States and Canada. 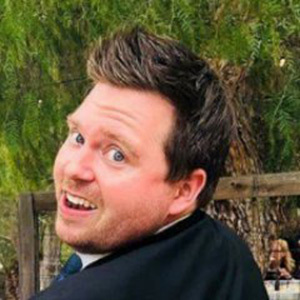 An award-winning speaker whose presentations are usually as entertaining as they are informative, Matt has been a popular speaker at SMX and other search conferences. Matt is President and founder of Find Me Faster a search engine marketing firm based in Nashua, NH. He is a member of SEMNE (Search Engine Marketing New England), and SEMPO, the Search Engine Marketing Professionals Organization as a member and contributing courseware developer for the SEMPO Institute. Matt writes occasionally on internet, search engines and technology topics for IMedia, The NH Business Review and other publications and served as technical editor for Andrew Goodman's "Winning Results with Google AdWords" and Mona Elesseily's "Yahoo! Search Marketing Handbook." 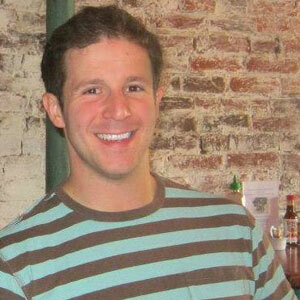 Matt is a graduate of St Lawrence University, Canton NY (BS Economics) with an M.B.A. from Rivier College, Nashua, NH. As a data and technology driven executive, Justin has been successful helping organizations and brands make significant shifts through his unique approach change management. As EVP, Managing Director, Justin helps lead the overall direction and growth of CMI/Compas while also overseeing a select set of client relationships. 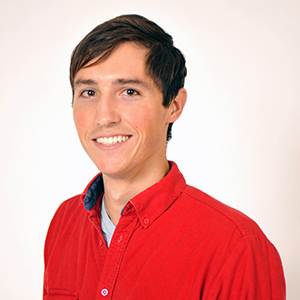 With an extensive background in digital marketing, Justin also oversees the SEM, SEO and social media teams at CMI. Justin has a monthly column across the Search Engine Land, Marketing Land and Martech Today platform, touching on everything from advertising technology and process improvement to theorizing how new technology will shape the advertising landscape. Prior to joining CMI, Justin worked across various technology startups and agencies focusing in the CPG, insurance, retail and finance industries. Justin is also the co-author of Blogging Made Simple. Jonathan Kagan, senior director of search and biddable media at MARC USA | Results Digital, began working in the online marketing industry in 2005, supporting search campaigns before expanding into other digital marketing sectors. Prior to working with MARC USA, Kagan ran search marketing teams for Mediacom, Forbes, and Digitas. He led the enterprise search operations for clients like American Express, Revlon, GlaxoSmithKline, Equifax, Mead Johnson, and Abbvie. He also created and oversaw Digitas Central America's search marketing operation. You may of seen some of his presentations on mobile and multi-screen marketing at conferences like SES New York, ClickZ Live, Ad-Tech and SMX. Frederick ("Fred") Vallaeys was one of the first 500 employees at Google where he spent 10 years building AdWords and teaching advertisers how to get the most out of it as the Google AdWords Evangelist. Today he is the Cofounder of Optmyzr which provides advertisers and agencies a suite of PPC management tools that streamline reporting and optimization. He is a frequent guest speaker at events where he inspires organizations to be more innovative and become better online marketers. He blogs monthly for Search Engine Land. Collecting and reporting website visitor data gets more sophisticated every day. But credible attribution remains elusive, and a sea of data without effective methods and tools for analysis doesn't help guide future marketing initiatives, budgets and websites updates. In this session, our analytics experts will expose you to new methods, reporting tools, data connectors and attribution options available to help bring your data into better focus. Jenny Halasz is President and Founder of JLH Marketing, a marketing consulting firm focused on developing scalable acquisition strategies for clients through PPC, implementing technical website improvements and content marketing through SEO, and giving clients the insights needed to measure success through analytics. Some of the clients Jenny has worked with include: SAP, Four Seasons Resorts, Humana, Priceline, Motorola, Saint Laurent Paris (YSL), CitiFinancial, HP, NBC Stores, and Lions Gate Films. Jenny writes a column (All Things SEO) for Search Engine Land, and is a contributing author for "SEO Like I'm 5: The Ultimate Beginner's Guide to Search Engine Optimization". 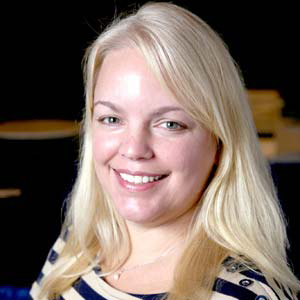 She is a search marketing and analytics instructor for ASPE, and has spoken at SMX, SES, Pubcon, Conversion Conference, Internet Summit, AMA and other conferences. She lives in Raleigh, NC. Read more at http://www.linkedin.com/in/jennyhalasz or follow Jenny on Twitter @jennyhalasz. Simon fell in love with the internet at an early age. As a child growing up in New Zealand, he found the idea that he could connect with anyone, anywhere in the world very intriguing. He developed his first website when I was 12 and never looked back. In addition to a love for the digital world, he studied Psychology at UCLA where we fell in love with the world of statistics. Combining his two passions, he is currently the Director of Digital Intelligence at Wpromote, the largest independent Digital Marketing agency in the USA. 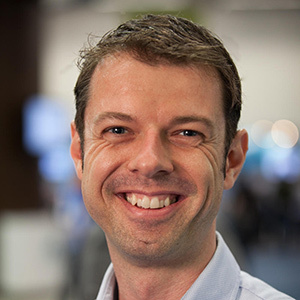 Prior to joining Wpromote, Simon lead the Digital Marketing at Laserfiche, and, in 2014, was named by IBM & the Economist as one of the global top 25 social business leaders (Link: http://live.wavecast.co/socialbusinessleaders/2014/07/19/simon-poulton/ ). As an early adopter in the world of Paid Social, this inspired him to find new measurement solutions to better understand the impact of Digital Advertising on B2B sales cycles. In addition to leading the Digital Intelligence team at Wpromote, he also serves as a Strategic Director and has worked closely with national brands like Charming Charlie, Providence Healthcare, Proactiv & Forever 21. In this role he leads internal teams with channel-specific experts to both design & executive Digital Marketing initiatives across all digital channels. In addition to sharing his thoughts via text mediums, Simon has presented on numerous topics at SMX East 2017, SMX West 2018, Google (Los Angeles) & the annual Laserfiche conference. Not one to shy away from the stage, while in college Simon performed as UCLA mascot Joe Bruin regularly to over 80,000 fans at the Rose Bowl in Pasadena, CA. As an SEM, your ability to maximize the tools you have at your disposal is critical. And while new features and functionality from Google Ads and Bing can be great, it's just more for you to learn. Today, you have to stay on top of Google phasing out the "old" AdWords interface, and it's your job understand what's changed, what's new and where you can squeeze even more value out of your campaigns. In this session, you'll discover the latest updates, learn how to work faster and smarter in the Google Ads & Bing Ads interfaces and leverage powerful desktop editors to get more out of your campaigns. Ted Ives is founder and CEO of SEMCopilot, software for PPC account managers. SEMCopilot is an innovative and rapidly evolving software platform dedicated to making PPC account managers successful, and much of it is focused on solving problems that Ted has personally encountered (particularly his own mistakes he’s learned from) managing many dozens of AdWords accounts over the years. Julie Friedman Bacchini, President of Neptune Moon LLC, brings a new perspective to the SEM and SEO space: razor sharp as she cuts through often-confusing technologies, algorithms, tools, and hype – but refreshing, as she presents her findings with clarity and wit. Her company, Neptune Moon, is a full-service search marketing and web development firm. 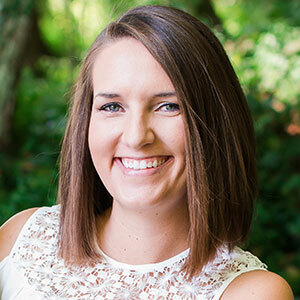 With her extensive background in targeted marketing, she helps her clients reach their business goals by developing solid search marketing strategies, creating compelling custom web sites, and generating increased traffic and leads through expert SEO, paid search (PPC & SEM), and online reputation management. Julie has been included in several “top influencer” lists for SEM and PPC. 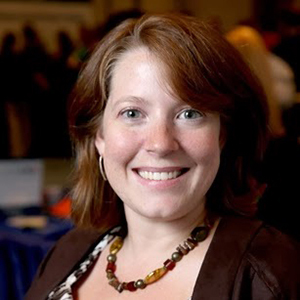 She is a “consultant’s consultant,” helping SEM and SEO professionals understand the impact of the latest search marketing news and leverage it to their advantage. Julie’s goals for her clients and fellow SEM and SEO professionals are clearly stated in three powerful words: Strategize. Optimize. Maximize. In this keynote conversation you'll hear what's new with Google ads and what future developments and opportunities for the company is working on for advertisers. In this session, you'll hear directly from Google about the SEM landscape at the search and display giant. 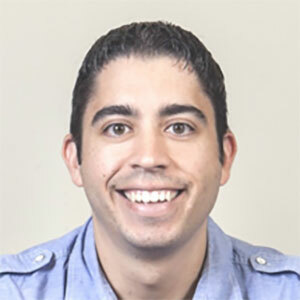 Jon Diorio is a Group Product Manager for Google Ads. Among other things, Jon and his team focus on enabling faster, easier and more profitable campaign management by providing advertisers with richer, more insightful and more actionable data and analytical solutions. Prior to Google, Jon was the VP of Product and Marketing at CentrPort, an early behavioral advertising platform provider. 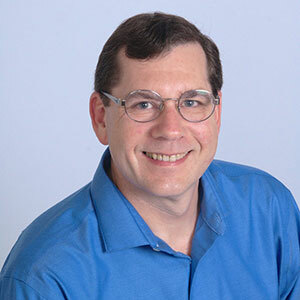 Prior to CentrPort, Jon held several product management and marketing leadership positions at CRM and business intelligence solutions companies. Jon graduated from Georgetown University with concentrations in economics and computer science, and he holds an MBA from UC Berkeley's Haas School of Business. 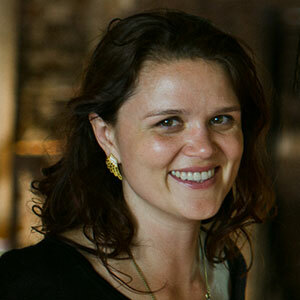 Annah Dominis is a Global Product Lead for Online-to-offline. Annah and her team help define what products we should build for customers who want to bring more people to their real-world locations, measure the results, and then optimize towards that behavior. Annah has been at Google for 11 years, and has worked on Online-to-offline since 2014. Prior to that, she was focused on mobile product strategy. She graduated from the University of California at Berkeley with a B.A. in Sociology. Want to write the best ads the world has ever seen, and then prove you've done it? This session focuses on the process of designing, implementing and measuring the results of search advertising testing. You'll learn what can and cannot be tested, how to design robust tests and the skills to identify all the biases and underlying problems of testing PPC campaigns. Our panelists will talk about best-practice processes and illustrate with case studies how to design the most effective keyword, bid level, messaging and landing page tests. You'll also get insights into how to test and validate higher-level business questions that you must answer to successfully implement search advertising campaigns. Aaron has been in digital for a decade, starting when he was "given the keys to the car", managing Paid Search for DuPont as a college junior. He's worked in verticals ranging from local adoption agencies & small retailers to enterprise ecommerce & SaaS. Over the course of his career, Aaron has managed internship programs, led hiring initiatives, consulted with agencies across the industry and built teams of two dozen. Now a Sr. Account Executive at Elite SEM, he leads relationships and teams overseeing some of the largest B2C brands in the world. In addition to his duties in the digital media world, Aaron's an adjunct instructor at Drexel & University of Vermont, working to grow the next generation of great marketers. He moonlights as a homebrewer, hockey player, slow cyclist and claims to be the industry's top chef. 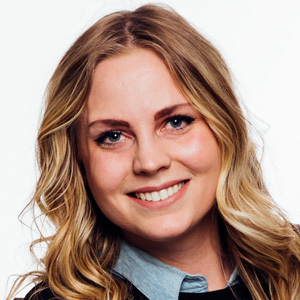 Amalia Fowler is an Account Director at Snaptech Marketing, a data storytelling focused digital marketing agency located in Burnaby, BC, Canada. Bringing clarity to the often overwhelming world of digital marketing to her clients, Amalia has worked individually with 138 clients across more than seven different industry types. Passionate about client growth no matter the budget or volume, she helps them not only achieve their business goals but understand exactly how they got there. Amalia believes there is always an opportunity for testing and growth no matter the account and strives to build solid relationships rooted in data with her clients. Data is our best friend and a frustrating nemesis that thwarts interpretation with sheer volume and conflicting signals. Mastering analysis is crucial for successfully managing and fine-tuning accounts and for transforming data into insight for your boss, clients and other key stakeholders. Attend this session for an advanced course in data-driven storytelling. You'll learn to transform unorganized data into compelling and convincing presentations that showcase the trends, successes and future potential of your SEM campaigns. As a Performance Media Supervisor at Nina Hale, Lauren Beerling ensures that brands are talking about what people really want to hear. Lauren goes beyond optimizing campaigns for search results and optimizes for real people. Why? Because when you take a people-first approach to campaign management, search will not only drive efficient and qualified traffic to a website, but provide unique insights into a brand’s landscape. 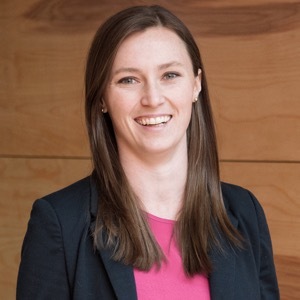 Prior to Nina Hale, Lauren spent three years building and leading the paid and organic search practice at Olson, where she also served as the subject matter expert in tagging and web analytics. Before joining Olson, Lauren worked at Periscope as a Sponsored Search Planner, serving as a subject matter expert across Direct Response Campaigns spanning from paid search to YouTube. In this session, our expert speakers share what works in Facebook campaign optimizations and what doesn't. From audience development and targeting to creative options to measurement and reporting, you'll walk away with actionable takeaways for generating qualified leads and conversions from Facebook ads. Michelle Morgan is the Director Client Services at Clix Marketing. She got her start right out of college as an in-house PPC pro in 2010. After developing the fundamental skills for PPC, she wanted to take things to next level. She made the jump to the agency world at Clix in 2012. Since then, she’s expanded her knowledge in all fields needed for PPC: Search, Social, Display, Remarketing, and Analytics. She manages accounts in many different industries and markets, but will always have a soft spot for lead gen.
Veronica McGhee is a social and search supervisor at Cramer-Krasselt where she works with conversion-focused clients, leveraging social platforms and paid search advertising to drive sales for restaurants, CPG brands, hotels and casinos. Veronica started her career doing media relations for search technology clients which peaked her interest enough to switch gears, leave her job and take an unpaid internship to learn SEO. From that point she transitioned to paid search, starting at Walgreens where campaigns were ROAS focused. Switching from ecommerce, Veronica spent three years as a digital acquisition lead at a B2B marketing agency where she increased leads for clients in manufacturing, engineering and technology. Veronica ran paid search, remarketing and display ads, as well as email marketing automation to drive quote requests and product sample orders. Veronica’s clients saw the largest increase in conversions from Facebook upon uploading a customer list to Facebook when the feature first became available. From that point forward, Veronica knew that social always had to be part of the conversation when building a media strategy. Convinced that social is a must-know skill, she took a hybrid role at C-K where more than half of her client work is running social campaigns and the rest focusing on paid search. 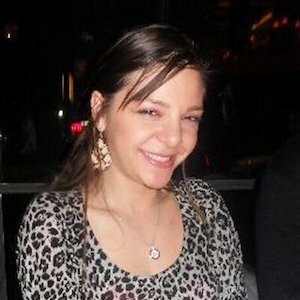 Veronica is a DePaul University graduate with a degree in PR & Advertising. She was introduced to Google Analytics and AdWords in college, which she believes made her gravitate towards performance-driven advertising. She grew up on the northside of Chicago, she considers herself the Next Food Network Star in training, she’s an avid reader and likes to make her own jewelry. The success of any integrated marketing effort relies on your ability to maximize the reach, awareness and performance of your display and video campaigns across multiple touch points. If you're already running campaigns on the Google Display Network and YouTube, or if you're just starting out with the new Bing Audience Ads and want to see greater success, this session is for you. You'll get real-world insights on how to prioritize ad formats and creatively use audience segmentation, as well as strategies for picking placements, considerations for brand protection and the employment of attribution methods for display. 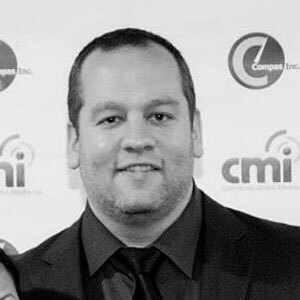 Joe Martinez is the Director of Client Strategy for Clix Marketing. His focus on marketing psychology and user experience helps his clients achieve record growths and lifetime customers. While he is hands-on in all aspects of PPC, his true passions lie in Display, Remarketing, and YouTube. He is a regular contributor to Search Engine Land, Marketing Land, and WordStream. He has also written for PPC Hero, SEMrush, Unbounce, Leadpages, Optmyzr, and AdStage. He has hosted webinars for SEMrush, Unbounce, Quora and Bing Ads. He regularly speaks at conferences such as SMX Advanced, SMX West, SMX East, HeroConf, Confluence Conference, Digital Olympus and more. Finally, he was named a Top 25 Influential PPC Expert by PPC Hero in 2017 and 2018.